Last week, I shared the best pick-and-shovel plays in the industry, providing insight from four cannabis experts on how to play this $10 billion market with pick-and-shovel plays. This strategy lets investors potentially profit without having to own a single company that touches a marijuana plant. And as promised, I'm going to conclude our two-part series with more insight from top marijuana experts. These aren't just the opinions of bloggers. They are presidents and high-level executives who have their pulse on the marijuana industry. The experts I spoke with highlighted how manufacturing and packaging industries are set to gain with the coming marijuana boom. 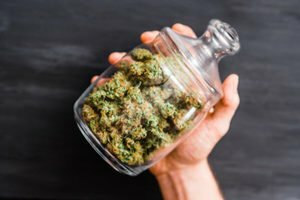 "For those wary of investing in cannabis but eager to reap the rewards of the booming 'Green Rush,' ancillary companies may present a unique opportunity to cash in with less risk. There are a number of established and newcomer businesses that provide key products and services for the industry but don't actually touch the plant. Betting on these companies is akin to investing in the companies that sold picks and shovels during the Gold Rush. It also mitigates the competitive risk because, on the cultivation and retail side, there are sure to be winners and losers. But they all rely on the same key products and services. Child-resistant packaging and smoking accessories, horticultural supplies like lights and hydroponics equipment, and compliance software all represent exciting opportunities to invest with reduced risk." "The people who profited most during the Gold Rush are the ones who sold the shovels. The same will prove true in legal states and in Canada. I predict that cannabis accessories and media are the ancillary products that will have the biggest returns." "We recommend investing in businesses that make, sell, and/or distribute cannabis 'shovels'. To us, cannabis shovels are state-of-the-art cannabis-manufacturing technologies and systems. There are myriad of technology and equipment opportunities from planting to packaging. We especially recommend manufacturing technologies and systems that can be used for more than just cannabis and hemp. Hightech Extracts' focus is creating complete solutions centered around extract-manufacturing systems that employ SuperCritical CO2 and CO2 Expanded Ethanol. A complete system includes material preparation, SuperCritical Fluid extraction, secondary processing, and packaging. All our technologies and systems can be employed for the extraction of essential oils and natural compounds from a variety of materials. Increasingly, food additives, nutraceuticals, pharmaceuticals, and cosmetics will be based on nature-derived essential oils and compounds." This was great advice, and I'm glad I was able to provide Money Morning readers with exclusive insight from top executives in the marijuana industry. I am now hoping you are going to be right about Canada's upcoming boom, I started investing early 2017 in company's you recommended, mostly Canadian. My problem is the last month has been brutal with big losses pretty much every day, I am getting close to going negative with my portfolio and we are a long way from that October launch date for Canada. I hope Canada's launch doesn't goes as badly as California's with all the unforeseen bumps that have stymied the success of what was to be big event. Some of your recommendations which I don't hear you speak about anymore, example … Tera Tech have become a poorly run disaster just hanging on it seems, Mr. Peterson's decision to do the reverse split may have been his demise. I know he ( and I ) are praying for a buy out at this point. I don't understand why Aurora is still a $6.00 stock at this point ? What I am seeing is the trading volume has dwindled greatly in the past months, I just see big volume in day traders working the few penny stocks that are left. Trying to keep the faith, I hope you are right about this …. when will medical cannabis be available in Maryland?